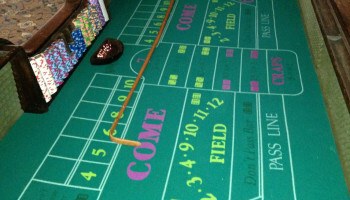 “CRAPS” add this fun authentic, exciting Craps Casino Table Party Rental game to your party for that extra THRILL, complete with all the screams and yelling, makes this the perfect game to play with a group of friends, family or co-workers, our craps table holds up to 12 people comfortably, making it great for all to play at once. 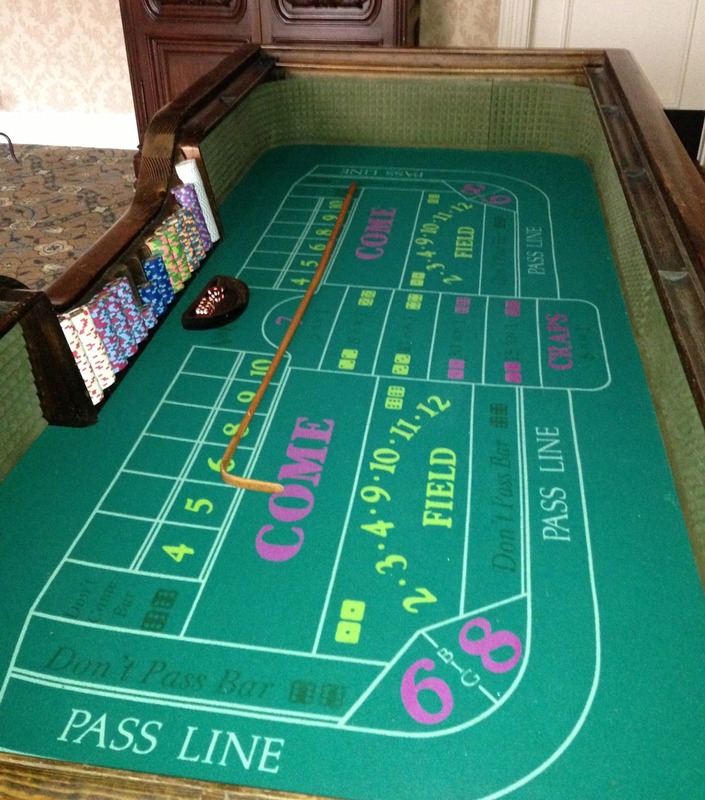 Our table offers synthetic felt, with original color and detail, this table was taken straight from a casino, so it is not your average fold-up portable casino rental table, this table is made of solid wood and all the casino rules applied when this table was made. Comes with chips, dice and dice stick. Price: $299.00 for a 4 hr rental. Please call 888-630-3866 with your info to get a more accurate price.